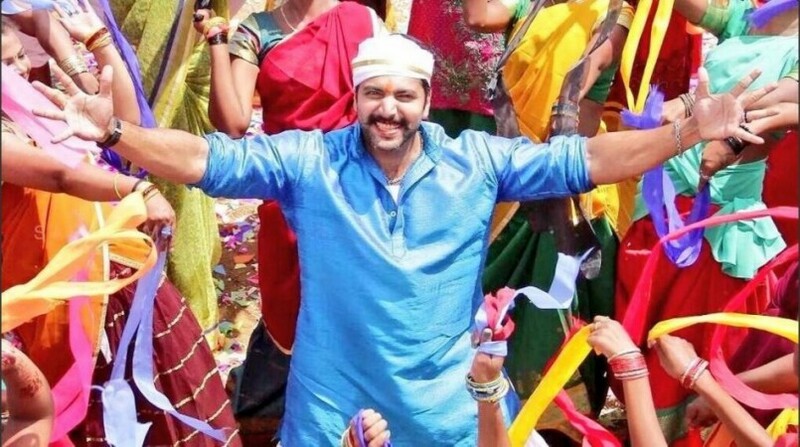 Jayam Ravi's "Nimirnthu Nil," which had a delayed release, has received mixed reviews from critics. Directed by Samuthirakani, "Nimirnthu Nil" deals with corruption. Aravind Sivaswamy (Jayam Ravi) gets educated in an ashram school and believes that honesty and self discipline are important principles in his life. However, he is not aware that the entire system is corrupt and there is no discipline in the society. When he finds it, he is not able to cope with it and wants to change the system. He makes a secret plot against 147 government officials with the help of his friend (Soori), a Lawyer (Panju Subbu), popular news anchor (Gopinath) and some uncorrupt bureaucrats. He expose the corrupt officials while receiving bribe and they face legal charges. The officials form a group to disprove the charges levelled against them. The rest of the story is about how Aravind succeeds in his mission to bring a change in the system. "Nimirnthu Nil" also has Amala Paul, Ragini Dwivedi, Nassar and Sarath Kumar in pivotal roles. Critics have appreciated the performance of Jayam Ravi, who has got enough scope to emote. "He is brilliant in the intense close-up scenes when he delivers powerful dialogues very convincingly. The lines are sharp and Ravi is convincing in uttering these lines with the required emotion and modulation," says Behindwoods Review Board. The dialogues in the film seem to be one of its highlights. "Nimirnthu Nil's biggest strength is Samuthirakani's dialogues, especially Soori's sarcastic comments about the corrupt system constantly evokes laughter and also Gopinath's questions over the corrupt system are having the much needed punch," says Rajasekar S of Cinemalead. On the flip side, critics say that the film does not have a fresh script. They feel that the first half is fast, but the second half falls flat. "The second half falls flat in many aspects. The antagonist group is reduced to a group comprising of buffoons and rowdies. The logic behind the introduction of another Jayam Ravi's character is hardly convincing, so is the easily guessable twist that happens to the character at the end," says Indiaglitz. "The second half doesn't live up to the pace of the first, thanks to some redundant elements in the screenplay. The director has bowed down to needless songs and dance sequences and these portions extend the running time and blunt the movie to an extent," says Behindwoods Review Board. Although there are negatives in the film, one can watch it if he/she is a fan of anti-corruption films, as well as for Jayam Ravi's performance.